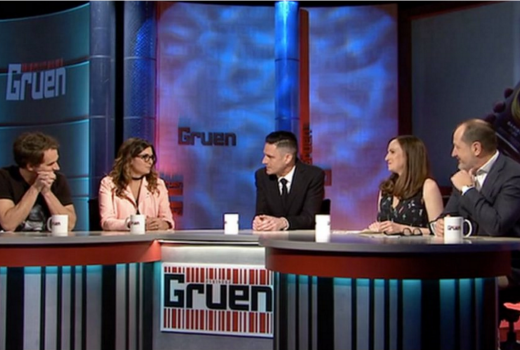 TEN’s recent ratings success has already been usurped by the ABC, thanks largely to the return of Gruen at the same time as MasterChef departed. ABC pipped TEN by just 0.2% to nab the third-placed network last week. But it was Seven’s first taste of Olympics that delivered it a stellar 46.3% network share on Saturday -and that’s before full competition gets underway. The Live Opening Ceremony on Saturday morning was the #1 show of the week. Seven won the Demos 16-39, 18-49 and 25-54. Seven scored all 5 cities and all 7 nights. ABC bettered TEN on Friday & Saturday. Seven: Olympics: (Opening Ceremony: 1.61m), Seven News (Sun: 1.21m), Sunday Night (804,000) and Highway Patrol (801,000). Nine: Nine News (Sun: 1.17m), 60 Minutes (1.08m), A Current Affair (780,000) and Love Child (693,000). ABC: Gruen (952,000), ABC News (778,000), Australian Story (768,000) and Four Corners (702,000). TEN: The Bachelor (Wed: 819,000), Offspring (783,000), Have You Been Paying Attention? (736,000) and All Star Family Feud (668,000). SBS: Pauline Hanson: Please Explain! (406,000), The Other Prince William (308,000), Rome: Empire Without Limit (256,000), The Nazi Games: Berlin 1936 (220,000).